Before :- B.S. Chauhan and Swatanter Kumar, JJ. Criminal Appeal No. 562 of 2007. D/d. 04.07.2011. For the Appellants :- Amit Kumar, Ritesh Ratnam, Jawahar Lal, Advocates. For the Respondents :- Rajeev Gaur Naseem, Kamal Mohan Gupta, Advocates. Dr. B.S. Chauhan, J. - All the aforesaid three appeals have been filed against the common judgment and order dated 15.12.2006 passed by the High Court of Punjab and Haryana at Chandigarh in Criminal Appeal Nos. 17-DB of 2005; and 360- DBA of 2005. The High Court partly affirmed the judgment and order dated 25/26.11.2004 of the Sessions Court in Sessions Trial No. 97 of 2003 convicting three appellants, namely, Joga Singh, Mukhtiar Singh and Nishabar Singh under Sections 302 and 307 read with Section 149 of the Indian Penal Code, 1860, (hereinafter called 'IPC'), and sentenced them to undergo rigorous imprisonment for life and to pay a fine of Rs. 10,000/-. Further, the High Court convicted accused/appellants, namely, Bhajan Singh, Puran Singh and Gurdeep Singh who had been acquitted of all the charges by the trial court and awarded the sentences similar to the other accused. A. Prosecution version as mentioned in the complaint of Trilok Singh (PW.9) is that, at 5.00 PM on 6.11.2002, he was present in his house alongwith his sons, namely, Gian Singh (deceased), Nishan Singh (deceased), his wife Swaran Kaur, daughter Harbhajan Kaur, grandson Harbhajan Singh and maternal grandson Ajaib Singh (injured) (PW.10). Bhajan Singh armed with Neja (Spear), Gurdeep Singh armed with Mogra (Pestle), Puran Singh armed with Gandasa, Joga Singh armed with sword, Nishabar Singh armed with Gandasa and Mukhtiar Singh armed with sword, accompanied by two ladies, namely, Chinder Kaur and Manjit Kaur, entered his house and raised Lalkara that they would teach them a lesson for tethering their cattle in the street. All the accused attacked Gian Singh (deceased) and Nishan Singh (deceased). Gurdeep Singh opened the attack by giving Mogra blow on the head of Gian Singh and Mukhtiar Singh inflicted a sword blow on the waist of Gian Singh, as a result of which he fell down. Joga Singh inflicted a sword blow on Nishan Singh's chest, Bhajan Singh inflicted Neja blow on his waist, Puran Singh inflicted Gandasa blow on his right elbow, Nishabar Singh inflicted Gandasa blow on his waist and, as a result, Nishan Singh fell down on the ground. Joga Singh inflicted a sword blow on the stomach of Ajaib Singh (PW.10), Mukhtiar Singh inflicted sword blow on the neck of Ajaib Singh, and as a result, he fell down. All the assailants then fled away from the spot with their respective weapons. Gian Singh and Nishan Singh died on the spot due to injuries. Ajaib Singh (PW.10), injured, was taken to the hospital. B. On the basis of the complaint, an FIR was lodged and registered (Ex.PB-1). SI Prakash Chand (PW.18) accompanied by Surinder Kumar, Photographer and other police officials reached the place of occurrence at about 8.15 P.M. Photographs of the dead bodies etc., were taken, inquest reports were prepared on the dead bodies of Gian Singh and Nishan Singh and blood stained earth was picked up from the place of occurrence. It was sealed in separate parcels. Dead bodies were sent for post-mortem examination and site plan etc. were prepared. Post-mortem was conducted on 7.11.2002 by Dr. Rajesh Gandhi (PW.11), who opined that the cause of death of both the persons was shock and haemorrhage as a result of injuries. Ajaib Singh (PW.10), injured, was also examined on 6.11.2002 with diagnosis of multiple stab injuries in chest and abdomen. He was operated upon on 7.11.2002 and was discharged from the hospital on 20.11.2002. C. Bhajan Singh @ Harbhajan Singh was arrested on 10.11.2002, and on his disclosure statement, Neja (Spear) was recovered from his residential house. On the disclosure statement of Puran Singh - appellant, the Gandasa was recovered from underneath his box at his residential house, and on the same day, on the disclosure statement of Joga Singh - appellant, that he had kept concealed sword underneath his bed in his residential house, the sword was recovered. On 11.11.2002, Gurdeep Singh made a disclosure statement, on the basis of which, Mogra alleged to have been used in the crime was recovered from his residential house. On the same day, Mukhtiar Singh also got the concealed sword recovered from the house of Bhajan Singh. On completion of the investigation, challan was put up in the court. Charges were framed against all the six appellants for the offences punishable under Sections 148, 302 and 307 read with Section 149 IPC. The two ladies, namely, Chinder Kaur and Manjit Kaur were discharged. As all of the accused pleaded not guilty to the charges and claimed trial, they were put on trial. D. During the course of trial, the prosecution examined as many as 19 witnesses including injured Ajaib Singh (PW.10), and Trilok Singh (PW.9), the complainant. All the appellants were examined under Section 313 of the Code of Criminal Procedure, 1973 (hereinafter called 'Cr.P.C.'). Joga Singh, appellant, pleaded that at the time of the incident, he was present in his house which was adjoining to the house of the complainant. Ajaib Singh (PW.10) came to his house and called him saying that he was being called by someone at the 'Phirni' of the village. When he came out, Gian Singh and Nishan Singh (both deceased) and Ajaib Singh (PW.10) pounced upon him and tried to drag him towards their house forcibly. Apprehending and suspecting that they would take him inside their house and kill him, he pushed Gian Singh, as a result of which, his head was struck against the wall. The other persons, namely, Nishan Singh (deceased) and Ajaib Singh (PW.10) in order to save him and to wriggle out of this situation, took out kirpan and wielded the same at random in self defence. It was in this background that Gian Singh, Nishan Singh and Ajaib Singh suffered injuries. The other accused simply denied the allegations and complained of their false implicity in the case. However, none of the appellant/accused adduced any evidence in defence. E. On conclusion of the trial, the trial court held that appellants Bhajan Singh @ Harbhajan Singh, Puran Singh and Gurdeep Singh were entitled to benefit of doubt and acquitted them of all the charges. However, the other remaining three appellants, namely, Joga Singh, Mukhtiar Singh and Nishabar Singh were convicted under Section 302 read with Section 34, and Section 307 read with Section 34 IPC, and were sentenced to undergo imprisonment for life and fine of Rs. 10,000/-, each under Section 302 read with Section 34 IPC, and seven years imprisonment and fine of Rs. 5,000/- under Section 307 read with Section 34 IPC; in default of payment of fine, they would further undergo rigorous imprisonment for six months. However, they were acquitted of charges under Section 148 I.P.C. 3. Being aggrieved, the three appellants convicted by the trial court filed Criminal Appeal No. 17-DB of 2005, while against the order of acquittal of the other three appellants, the State of Haryana filed Criminal Appeal No. 360-DBA of 2005. The High Court heard both the appeals together and disposed of the same by a common judgment and order dated 15.12.2006, maintaining the conviction of appellants in Criminal Appeal No. 17-DB of 2005. It also reversed the judgment and order of the trial court which acquitted the other three appellants, and convicted them for the same offence. The High Court awarded them same sentence as one awarded to the persons convicted by the trial court. Hence, these appeals. 4. Shri Amit Kumar, learned counsel appearing for the appellants has submitted that no independent eye-witness has been examined. The High Court has placed a very heavy reliance on the evidence of Trilok Singh, complainant (PW.9) and his grandson Ajaib Singh (PW.10). In spite of the fact that a large number of persons had witnessed the incident, none of them has been examined. It is evident from the depositions of Trilok Singh (PW.9) and Ajaib Singh (PW.10) and judgments of the courts below that the place of occurrence has been tempered with by the prosecution and thus, the prosecution failed in its duty to disclose the correct facts. Injuries attributed to the deceased persons as well as Ajaib Singh (PW.10) by the witnesses do not tally with the medical evidence. There had been inordinate delay of 3 hours in lodging the FIR, though the Police Station was in close vicinity of the place of occurrence. Information of offence was sent to the Illaqa Magistrate as required under Section 157 Cr.P.C. after inordinate delay of 3 hours. Weapons used in the commission of the crime had not been shown to the medical experts for their opinion to ascertain whether the injuries on the persons of the deceased and Ajaib Singh (PW.10), injured, could be caused by those weapons. The High Court committed an error in interfering with the order of acquittal so far as the three appellants are concerned. Thus, the appeals deserve to be allowed. 5. On the contrary, Shri Rajeev Gaur "Naseem", learned counsel appearing for the State of Haryana has opposed the appeals with vehemence contending that it was pre-planned attack by the appellants as Gurdeep Singh and Bhajan Singh @ Harbhajan Singh had come to the house of the complainant on that day at 7.00 A.M. and told him not to tether the cattles in the street, otherwise the complainant's family would face the dire consequences. It was in pursuance of the common object of teaching the lesson to the family, the attack was made on the same day at 5.00 P.M. The appellants committed gruesome murder of two innocent persons and caused grievous injuries to Ajaib Singh (PW.10). The weapons had been recovered on the disclosure statements of the appellants, and were sent to Forensic Science Laboratory for report and the report was positive. Law does not prohibit to place reliance upon the evidence of closely related persons, rather the requirement is that evidence of such persons must be scrutinised with caution and care. However, evidence of an injured witness has to be relied upon, unless the injuries are found to be superfluous or self-inflicted just to create evidence against the other party. There is no material discrepancy in the medical and ocular evidence. In case the common object stands proved, such trivial discrepancies become immaterial and insignificant. The High Court was right in reversing the order of acquittal of three appellants as the High Court came to the conclusion that the findings of fact so recorded by the trial court were perverse. Thus, the appeals lack merit and are liable to be dismissed. (1) A stab wound was present on the back at level of T5 vertebra, 2 cm. lateral to mid line on right side. Horizontally placed. Wound was 3 x 2 cm. On opening rupture of right lung was present. Fluid blood approximately 250 ml. was present in cavity. On further extending the dissection an incised wound was present on the posterior surface of liver which was 2 x 1 cm. Fluid blood approximate 700 ml. was present in abdominal cavity. (2) On opening skull a haematoma of size 5 x 2 cm. was present on right parietal side. (1) Incised wound was present in front of neck 2 cm. lateral to mid line on left side, obliquely placed and on opening there was hole in trachea and oesophagus. The size of wound was 6 x 3 cm. External carotid artery was also punctured. (2) Incised wound was present on anterior lateral aspect of right elbow. Size was 6 x 3 cm. x muscle deep. (3) Stab wound was present on the back on the right side 4 cm. below scapula, 6 cm. medial to mid axillary line obliquely placed and size was 3 x 2 cm. and deep upto lung. On opening the lung was sharply cut. (1) Incised wound on left shoulder 6 x 3 cms x muscle deep. (2) Sword injury in stomach. (3) Injury on the neck. He was operated upon exploratory laprotomy with restion ananstomosis with repair of liver tear with bilateral intercostals tube drainage with peritoneal lavage. 8. Shri Amit Kumar, learned counsel appearing for the appellants has submitted that there has been delay in lodging the FIR and sending the copy of the FIR to the court. Therefore, the prosecution failed to give a fair picture with regard to genesis of the crime. 9. Prompt and early reporting of the occurrence by the informant with all its vivid details gives an assurance regarding its true version. In case, there is some delay in filing the FIR, the complainant must give explanation for the same. Undoubtedly, delay in lodging the FIR does not make the complainant's case improbable when such delay is properly explained. However, deliberate delay in lodging the complaint may prove to be fatal. In such case of delay, it also cannot be presumed that the allegations were an after thought or had given a coloured version of events. The court has to carefully examine the facts before it, for the reason, that the complainant party may initiate criminal proceedings just to harass the other side with mala fide intentions or with ulterior motive of wreaking vengeance. The court proceedings ought not to be permitted to degenerate into a weapon of harassment and persecution. In such a case, where an FIR is lodged clearly with a view to spite the other party because of a private and personal grudge and to enmesh the other party in long and arduous criminal proceedings, the court may take a view that it amounts to an abuse of the process of law. 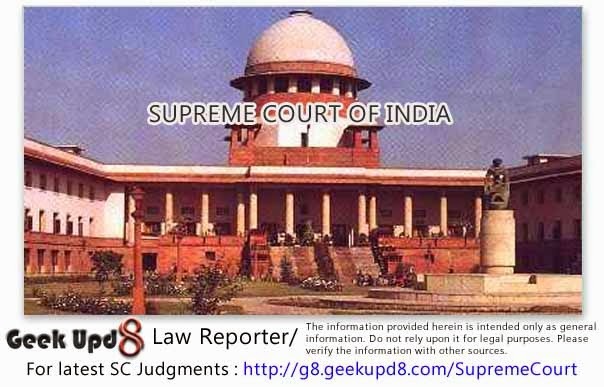 (Vide: Sahib Singh v. State of Haryana, 1997(3) R.C.R. (Criminal) 742 : AIR 1997 SC 3247; G. Sagar Suri and Anr. v. State of U.P. and Ors., 2000(1) R.C.R. (Criminal) 707 : AIR 2000 SC 754; Gorige Pentaiah v. State of A.P. and Ors., 2008(4) R.C.R. (Criminal) 171 : 2008(5) R.A.J. 254 : (2008) 12 SCC 531; and Kishan Singh (dead) thr. Lrs. v. Gurpal Singh and Ors., 2010(4) R.C.R. (Criminal) 74 : 2010(4) R.A.J. 638 : AIR 2010 SC 3624). 10. In the instant case, the occurrence took place at about 5 p.m. on 6.11.2002. Trilok Singh (PW.9) was going to Police Station, Safidon, when Prakash Chand (PW.18), Sub Inspector met him along with other police officials in old bus stand, Safidon. Statement of Trilok Singh (PW.9) was recorded there by Prakash Chand, Sub Inspector. The evidence on the file proves that the special report was received by the Ilaqa Magistrate at 10.45 p.m. on 6.11.2002. The occurrence had taken place in village Chhapar, which is about 6 Kms. from Police Station Safidon. Two sons of Trilok Singh (PW.9), namely, Gian Singh and Nishan Singh had died in this occurrence. Ajaib Singh (P.W.10) was seriously injured. He was shifted to the hospital. So, after making all these arrangements, Trilok Singh (PW.9) had made his way to the Police Station to lodge report with the police. In view of the above, we reach an inescapable conclusion that there is no delay in lodging the FIR with the police in this case. 11. In Shiv Ram and Anr. v. State of U.P., 1998(1) R.C.R. (Criminal) 778 : AIR 1998 SC 49, this Court considered the provisions of the Section 157, Cr.P.C., which require that the police officials would send a copy of the FIR to the Illaqa Magistrate forthwith. The court held that if there is a delay in forwarding the copy of the FIR to the Illaqa Magistrate, that circumstance alone would not demolish the other credible evidence on record. It would only show how in such a serious crime, the Investigating Agency was not careful and prompt as it ought to be. "While it is true that Section 157 of the Code makes it obligatory on the officer in charge of the police station to send a report of the information received to a Magistrate forthwith, but that does not mean and imply to denounce and discard an otherwise positive and trustworthy evidence on record. Technicality ought not to outweigh the course of justice -- if the court is otherwise convinced and has come to a conclusion as regards the truthfulness of the prosecution case, mere delay, which can otherwise be ascribed to be reasonable, would not by itself demolish the prosecution case." While deciding the said case, this Court placed relied upon its earlier judgments in Pala Singh and Anr. v. State of Punjab, AIR 1972 SC 2679; and State of Karnataka v. Moin Patel and Ors., 1997(1) R.C.R. (Criminal) 207 : AIR 1996 SC 3041. 13. In Rajeevan and Anr. v. State of Kerala, 2003(2) R.C.R. (Criminal) 95 : 2004(1) Apex Criminal 8 : (2003) 3 SCC 355, this Court examined a case where there had been inordinate delay in sending the copy of the FIR to the Illaqa Magistrate and held that un-explained inordinate delay may adversely affect the prosecution case. However, it would depend upon the facts of each case. 14. A similar view was reiterated in Ramesh Baburao Devaskar and Ors. v. State of Maharashtra, 2007(4) R.C.R. (Criminal) 671 : 2007(5) R.A.J. 559 : (2007) 13 SCC 501, wherein there had been a delay of four days in sending the copy of the FIR to the Illaqa Magistrate and no satisfactory explanation could be furnished for such inordinate delay. While deciding the said case, reliance had been placed on earlier judgments in State of Rajasthan v. Teja Singh and Ors., 2001(1) R.C.R. (Criminal) 698 : AIR 2001 SC 990; and Jagdish Murav v. State of U.P. and Ors., 2006(4) R.C.R. (Criminal) 135 : 2006(3) Apex Criminal 167 : (2006) 12 SCC 626. [See also Sarwan Singh and Ors. v. State of Punjab, AIR 1976 SC 2304; State of U.P. v. Gokaran and Ors. AIR 1985 SC 131; Gurdev Singh and Anr. v. State of Punjab (2003) 7 SCC 258; State of Punjab v. Karnail Singh 2004(1) R.C.R. (Criminal) 156 : 2004(2) Apex Criminal 76 : (2003) 11 SCC 271; State of J and K v. Mohan Singh and Ors., 2006(2) R.C.R. (Criminal) 414 : 2006(1) Apex Criminal 590 : AIR 2006 SC 1410; N.H. Muhammed Afras v. State of Kerala, (2008) 15 SCC 315; Sarvesh Narain Shukla v. Daroga Singh and Ors., 2007(4) R.C.R. (Criminal) 955 : 2007(6) R.A.J. 105 : AIR 2008 SC 320; and Arun Kumar Sharma v. State of Bihar, 2009(4) R.C.R. (Criminal) 652 : 2009(6) R.A.J. 167 : (2010) 1 SCC 108]. 15. Thus, from the above it is evident that the Cr.P.C provides for internal and external checks: one of them being the receipt of a copy of the FIR by the Magistrate concerned. It serves the purpose that the FIR be not anti-timed or anti-dated. The Magistrate must be immediately informed of every serious offence so that he may be in a position to act under Section 159 Cr.P.C., if so required. Section 159 Cr.P.C. 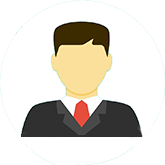 empowers the Magistrate to hold the investigation or preliminary enquiry of the offence either himself or through the Magistrate subordinate to him. This is designed to keep the Magistrate informed of the investigation so as to enable him to control investigation and, if necessary, to give appropriate direction. It is not that as if every delay in sending the report to the Magistrate would necessarily lead to the inference that the FIR has not been lodged at the time stated or has been anti-timed or anti-dated or investigation is not fair and forthright. Every such delay is not fatal unless prejudice to the accused is shown. The expression 'forthwith' mentioned therein does not mean that the prosecution is required to explain delay of every hour in sending the FIR to the Magistrate. In a given case, if number of dead and injured persons is very high, delay in dispatching the report is natural. Of course, the same is to be sent within reasonable time in the prevalent circumstances. However, un- explained inordinate delay in sending the copy of FIR to the Magistrate may affect the prosecution case adversely. An adverse inference may be drawn against the prosecution when there are circumstances from which an inference can be drawn that there were chances of manipulation in the FIR by falsely roping in the accused persons after due deliberations. Delay provides legitimate basis for suspicion of the FIR, as it affords sufficient time to the prosecution to introduce improvements and embellishments. Thus, a delay in dispatch of the FIR by itself is not a circumstance which can throw out the prosecution's case in its entirety, particularly when the prosecution furnishes a cogent explanation for the delay in dispatch of the report or prosecution case itself is proved by leading unimpeachable evidence. 16. In view of the above, we are in agreement with the High Court that there was no delay either in lodging the FIR or in sending the copy of the FIR to the Magistrate. It may be pertinent to point out that defence did not put any question on these issues while cross-examining the Investigating Officer, providing him an opportunity to explain the delay, if any. Thus, we do not find any force in the submissions made by the learned counsel for the appellants in this regard. ".......that accused Joga Singh and accused Mukhtiar Singh had attacked their victims with swords whereas accused Nishabar Singh had used 'Gandasa' for the purpose resulting in the deaths of Gian Singh and Nishan Singh and brutal attempt on the life of P.W. Ajaib Singh. The trial court had further observed that the skull injury attributed to accused Gurdeep Singh does not receive corroboration from the medical evidence on record because such forceful blow was bound to leave some external mark of injury at the site of the impact but no such mark was seen there by the doctor." The trial court reached the conclusion that it seems that accused Puran Singh was also implicated in this case along with his father Bhajan Singh alias Harbhajan Singh because he is a brother of prime accused Joga Singh. Thus, the involvement of accused Puran Singh in the incident is also doubtful. 18. This has to be examined in the light of the evidence of two eye witnesses, namely, Trilok Singh (PW.9) and Ajaib Singh (PW.10). There is no contradiction between their statements which rather corroborate each other. Ajaib Singh (PW.10) corroborates the version of Trilok Singh (PW.9). He also deposed that Gurdeep Singh was armed with 'Mogra'. Joga Singh and Mukhtiar Singh were armed with swords. Puran Singh and Nishabar Singh were armed with 'Gandasas'. Bhajan Singh @ Harbhajan Singh was armed with 'Neja'. Gurdeep Singh inflicted a 'Mogra' blow on the head of Gian Singh while Mukhtiar Singh inflicted a 'sword' blow on the waist of Gian Singh. He fell down on the ground. Then Joga Singh inflicted a sword blow on Nishan Singh's chest . Bhajan Singh @ Harbhajan Singh inflicted a 'Neja' blow on his waist. Puran Singh inflicted a 'Gandasa' blow on his right elbow. Nishabar Singh inflicted a 'Gandasa' blow on his waist and as a result, Nishan Singh fell down on the ground. Ajaib Singh (PW.10) further deposed that when he tried to rescue Gian Singh and Nishan Singh, Joga Singh inflicted a sword injury in his stomach. Mukhtiar Singh inflicted a sword injury on the back of his neck. Nishabar Singh inflicted a 'Gandasa' injury on his left shoulder. "So, according to their testimonies two injuries were caused to Gian Singh (deceased), four injuries were caused to Nishan Singh (deceased) and three injuries were caused to Ajaib Singh (PW.10). In medical evidence also, two injuries were found on the body of Gian Singh (deceased) and four injuries were found on P.W.10 Ajaib Singh as per copy of medico legal report Exhibit P.AA. There is some conflict about the seat of the injuries as stated by P.W.9 Trilok Singh and P.W. 10 Ajaib Singh." The testimonies of Trilok Singh (PW.9) and Ajaib Singh (PW.10) are fully reliable. Ajaib Singh (PW.10) is an injured witness in the same occurrence and his testimony cannot be ignored. "Regarding injuries to PW.10, Ajaib Singh, it can be said that these were dangerous to life. He was operated upon for small gut perforation and liver laceration. He remained admitted in PGI MS Rohtak, from 6.11.2002 to 20.11.2002. PW.17 Dr. Paryesh Gupta and PW.19 Dr. Satish Bansal proved the nature of the injuries of PW. Ajaib Singh. The appellants and their acquitted co-accused had the intention or knowledge to cause his death. Determinative question is intention and knowledge, as the case may be, and not nature of the injury. Bodily injury may not be sufficient to cause death. An accused may be convicted under Section 307 of the Code if he had intention to cause death. After scrutinizing the testimonies of P.W.11 Dr. Rajesh Gandhi, PW.17 Dr. Paryesh Gupta and PW.19 Dr. Satish Bansal, we are of the considered opinion that the trial court over depended on their opinion evidence. The trial court should not have rejected the direct evidence of P.Ws Trilok Singh and Ajaib Singh on the strength of the uncanny opinion expressed by the doctors. This makes us to interfere in the impugned judgment for setting aside the acquittal of Bhajan Singh @ Harbhajan Singh, Puran Singh and Gurdeep Singh. They are vicariously liable with appellants Nishabar Singh, Mukhtiar Singh and Joga Singh on the principle of vicarious liability enunciated under Section 149 of the Code. Conviction of appellants Nishabar Singh, Mukhtiar Singh and Joga Singh on the basis of direct evidence and medical evidence is well founded and we do not find any infirmity in the impugned judgment in this regard." 21. The evidence of the stamped witness must be given due weightage as his presence on the place of occurrence cannot be doubted. His statement is generally considered to be very reliable and it is unlikely that he has spared the actual assailant in order to falsely implicate someone else. The testimony of an injured witness has its own relevancy and efficacy as he has sustained injuries at the time and place of occurrence and this lends support to his testimony that he was present at the time of occurrence. Thus, the testimony of an injured witness is accorded a special status in law. Such a witness comes with a built-in guarantee of his presence at the scene of the crime and is unlikely to spare his actual assailant(s) in order to falsely implicate someone. "Convincing evidence is required to discredit an injured witness". Thus, the evidence of an injured witness should be relied upon unless there are grounds for the rejection of his evidence on the basis of major contradictions and discrepancies therein. (Vide: Abdul Sayeed v. State of Madhya Pradesh, 2011(1) R.C.R. (Criminal) 550 : 2011(1) R.A.J. 266 : (2010) 10 SCC 259; Kailas and Ors. v. State of Maharashtra, 2011(1) R.C.R. (Criminal) 431 : 2011(1) R.A.J. 146 : (2011) 1 SCC 793; Durbal v. State of Uttar Pradesh, 2011(2) R.C.R. (Criminal) 124 : 2011(2) R.A.J. 56 : (2011) 2 SCC 676; and State of U.P. v. Naresh and Ors., 2011(2) R.C.R. (Criminal) 364 : 2011(2) R.A.J. 221 : (2011) 4 SCC 324). "In any event unless the oral evidence is totally irreconcilable with the medical evidence, it has primacy." 23. Thus, the position of law in such a case of contradiction between medical and ocular evidence can be crystallised to the effect that though the ocular testimony of a witness has greater evidentiary value vis-'-vis medical evidence, when medical evidence makes the ocular testimony improbable, that becomes a relevant factor in the process of the evaluation of evidence. However, where the medical evidence goes so far that it completely rules out all possibility of the ocular evidence being true, the ocular evidence may be disbelieved. 24. In a case like at hand, where two persons died on the spot and other received grievous injuries, the eye witnesses also make an attempt to save themselves and rescue the persons under attack. In such a fact-situation, the witness is not supposed to be perfectionist to give the exact account of the incident. Some sort of contradiction, improvement, embellishment is bound to occur in his statement. Thus, in view of the above, we have no hesitation to hold that submission of the learned counsel for the appellants in this regard is preposterous. 25. It has further been submitted that a large number of persons had gathered at the place of occurrence but no independent witness has been examined by the prosecution for the reasons best known to it. In a case like this where without having any substantial cause two persons had been killed and one had been seriously injured, no neighbour, even if he had witnessed the incident, would like to come forward and depose against the assailants. More so, the defence did not ask SI Prakash Chand (PW.18), the Investigating Officer as to why he could not have furnished the explanation for not examining the independent witness. In view thereof, we are of the considered opinion that the appellants are not entitled to take any benefit of doubt. 26. Evidence of a related witness can be relied upon provided it is trustworthy. Such evidence is carefully scrutinised and appreciated before reaching to a conclusion on the conviction of the accused in a given case. (Vide: M.C. Ali and Anr. v. State of Kerala, 2010(7) R.C.R. (Criminal) 1148 : AIR 2010 SC 1639; and Himanshu @ Chintu v. State (NCT of Delhi), 2011(1) R.C.R. (Criminal) 405 : 2011(1) R.A.J. 124 : (2011) 2 SCC 36). 27. It has further been submitted that the High Court had no justification to reverse the judgment of acquittal so far as the three appellants are concerned. 28. This Court time and again has laid down the guidelines for the High Court to interfere with the judgment and order of acquittal passed by the Trial Court. The appellate court should not ordinarily set aside a judgment of acquittal in a case where two views are possible, though the view of the Appellate Court may be more probable one. While dealing with a judgment of acquittal, the appellate court has to consider the entire evidence on record, so as to arrive at a finding as to whether the views of the trial Court were perverse or otherwise unsustainable. Interference with the order of acquittal is permissible only in "exceptional circumstances" for "compelling reasons". The appellate court is entitled to consider whether in arriving at a finding of fact, the trial Court had failed to take into consideration admissible evidence and/or had taken into consideration the evidence brought on record contrary to law. Similarly, wrong placing of burden of proof may also be a subject matter of scrutiny by the appellate court. 28-A. The expressions like 'substantial and compelling reasons', 'good and sufficient grounds', 'very strong circumstances', 'distorted conclusions', 'glaring mistakes', etc., are not intended to curtail the extensive powers of an appellate court in an appeal against acquittal. Such phraseologies are more in the nature of 'flourishes of language' to emphasise the reluctance of an appellate court to interfere with the acquittal. Thus, where it is possible to take only one view i.e. the prosecution evidence points to the guilt of the accused and the judgment is on the face of it perverse, the appellate Court may interfere with an order of acquittal. The appellate court should also bear in mind the presumption of innocence of the accused and further that the trial Court's acquittal bolsters the presumption of his innocence. Interference in a routine manner where the other view is possible should be avoided, unless there are good reasons for interference. (See: Sanwat Singh and Ors. v. State of Rajasthan, AIR 1961 SC 715; Suman Sood alias Kamaljeet Kaur v. State of Rajasthan, 2007(3) R.C.R. (Criminal) 119 : 2007(3) R.A.J. 99 : (2007) 5 SCC 634; Brahm Swaroop and Anr. v. State of U.P., 2010(4) R.C.R. (Criminal) 898 : 2010(6) R.A.J. 304 : AIR 2011 SC 280; V.S. Achuthanandan v. R. Balakrishna Pillai and Ors., 2011(2) R.C.R. (Criminal) 538 : 2011(2) R.A.J. 340 : (2011) 3 SCC 317; and Rukia Begum and Ors. v. State of Karnataka, (2011) 4 SCC 779). "There was common object which appellants Nishabar Singh, Mukhtiar Singh and Joga Singh shared with their acquitted co-accused Bhajan Singh alias Harbhajan Singh, Puran Singh and Gurdeep Singh. They entered the courtyard of the house of P.W. Trilok Singh by raising 'Lalkara' that they would teach a lesson for tethering cattle in the street. By application of Section 149 of the Code, they all the six were liable for inflicting injuries to Gian Singh and Nishan Singh, which resulted in their deaths and brutal injuries to P.W. Ajaib Singh. The trial court was not justified in acquitting Bhajan Singh alias Harbhajan Singh, Puran Singh and Gurdeep Singh on hypothetical medical evidence, by ignoring the reliable direct evidence of P.Ws. Trilok Singh and Ajaib Singh." In view of the above, we do not find any reason to accept the submissions so made on behalf of the appellants. 30. It is a settled legal proposition that while appreciating the evidence of a witness, minor discrepancies on trivial matters, which do not affect the core of the prosecution's case, may not prompt the Court to reject the evidence in its entirety. "Irrelevant details which do not in any way corrode the credibility of a witness cannot be labelled as omissions or contradictions." Difference in some minor detail, which does not otherwise affect the core of the prosecution case, even if present, would not itself prompt the court to reject the evidence on minor variations and discrepancies. After exercising care and caution and sifting through the evidence to separate truth from untruth, exaggeration and improvements, the court comes to a conclusion as to whether the residuary evidence is sufficient to convict the accused. Thus, an undue importance should not be attached to omissions, contradictions and discrepancies which do not go to the heart of the matter and shake the basic version of the prosecution witness. As the mental capabilities of a human being cannot be expected to be attuned to absorb all the details, minor discrepancies are bound to occur in the statements of witnesses. [Vide: Vijay @ Chinee v. State of M.P., 2010(3) R.C.R. (Criminal) 794 : 2010(4) R.A.J. 330 : (2010) 8 SCC 191; and Brahm Swaroop (Supra)]. 31. In the instant case, we could not find any major contradiction either in the evidence of the witnesses or any conflict in medical or ocular evidence which may tilt the balance in favour of the appellants. There had been minor improvement, embellishment etc., which remain insignificant and have to be ignored. 32. The theory of self-defence put forward by Joga Singh, appellant, that he caused the injuries to the complainant party to save himself, is most improbable and not worthy of acceptance. The High Court has rightly rejected the same, observing that Joga Singh, appellant, could not even suspect that the complainant party was nurturing a sinister design against him when he was called from his house initially. 33. In view of above, we do not find any force in either of these appeals. The same are dismissed. The judgment of the High Court dated 15.12.2006 is affirmed in its totality. The appellants in Criminal Appeal No. 562 of 2007, namely, Bhajan Singh, Puran Singh and Gurdeep Singh have been enlarged on bail by this Court vide orders dated 2.8.2008 and 22.7.2009. Their bail bonds are cancelled, they are directed to surrender within a period of two weeks from today, failing which, the Chief Judicial Magistrate, Jind, (Haryana) shall ensure to take them into custody and send them to jail to serve their remaining part of the sentence. A copy of this judgment and order be sent to the learned Chief Judicial Magistrate, Jind, (Haryana) for information and compliance.